Read below about our night time Scavenger hunt and our free printable pack to help encourage your adventure. This game and STEM activity has been partnered with Energizer® to help us light up our night! 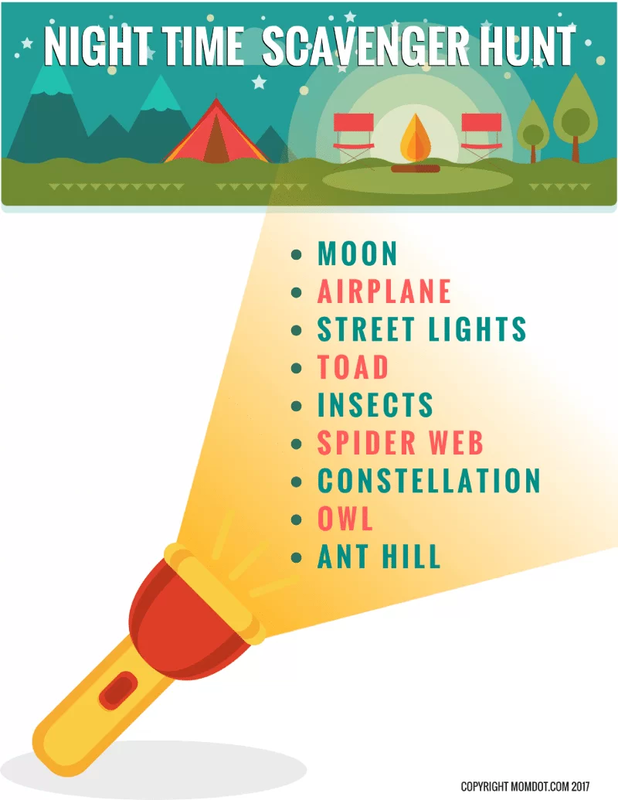 See below and download your free flashlight scavenger hunt and badges and have a little bit of fun tonight! School has been back in session for about 3 weeks and my kids are still clearing out the summer fun and getting into the routine of day to day homework and extra curricular activities. Id be lying if I didn’t say that by the end of the summer I had resorted to 4 hours of Mine craft per day and cereal for dinner. Sometimes its all you can do to just get to the finish line! But now that we are here and they have to actually use those brains, I am trying to encourage play time to reflect learning and reading. During the school week, bedtime is ultra important around here. I am on my kids starting 30 minutes before bedtime up until they pull those sheets up to their necks and the lights go out. But on the weekends, I tend to let them have a little leeway so we can do a few fun night time activities like reading a little more or even appreciate all the fun things that happens when the sun goes down. One such amazing activity that encourages learning, science and fun combined, is a night time scavenger hunt. 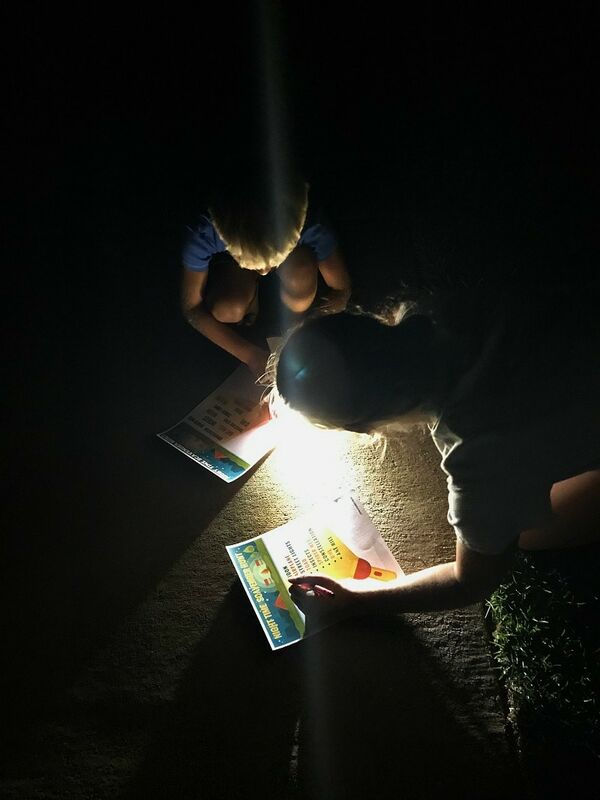 Night time scavenger hunts are a blast, bringing you and your kids on an after dark adventure that’s even fun in your own front and back yard! A whole world happens outside after the sun goes down, and is a lot of fun to encourage and experience it. 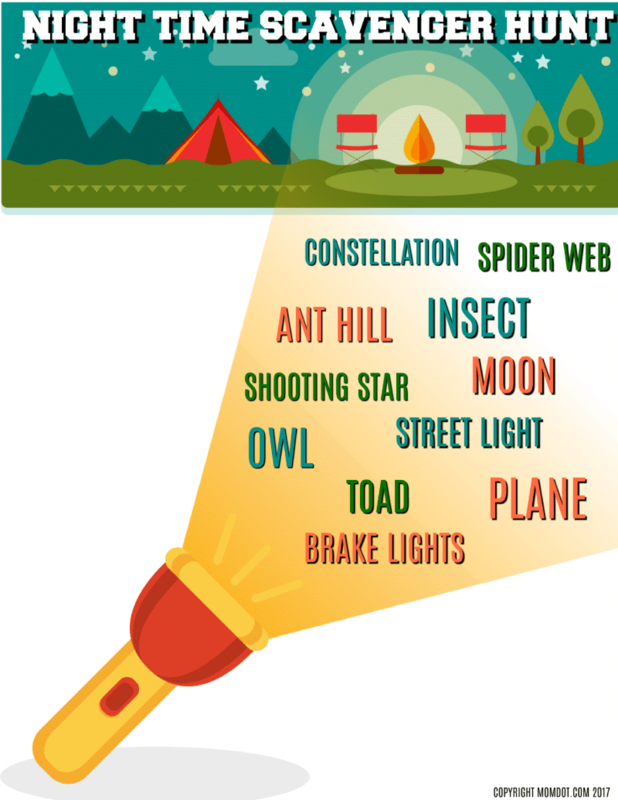 From spiders making webs, to toads catching some meals, my Free Flashlight Scavenger Hunt is a great before bed activity that will get out that last bit of wiggling your kids still have at the end of the day. You can also easily use this free printable on a camping trip or a birthday party! Looking for more scavenger hunt ideas? Try this nature scavenger hunt, summer scavenger hunt or even fire safety scavenger hunt! 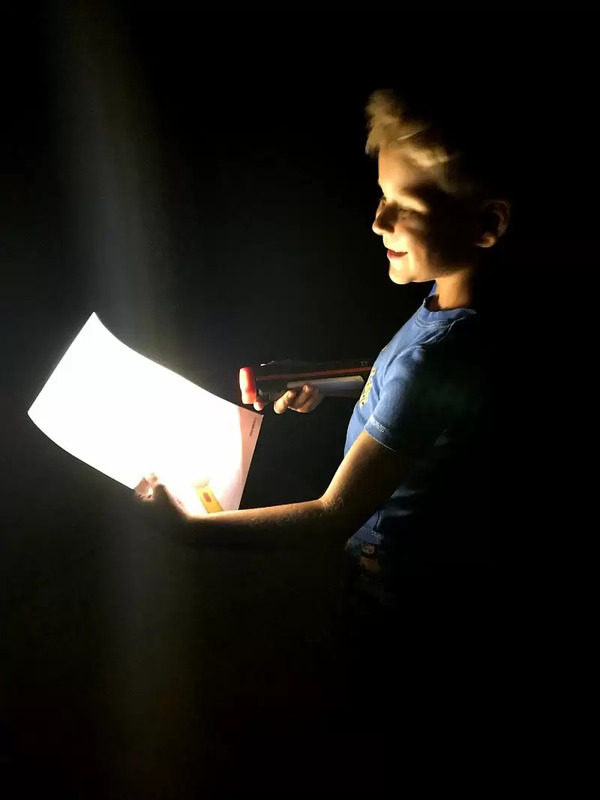 I have created a pack of 5 different Flashlight Scavenger Hunt sheets. You can download just the one sheet you want or the entire pack. The sheets include a fun night time darker set, including an extra sheet to draw what you find, and also a lighter printer friendly version. Click on the sheet you want to get its PDF or scroll to the bottom for a download link to the whole pack! You cannot have a serious night time adventure without a great flashlight! We used the Energizer® Multi-Function Light with Light Fusion Technology™ and this is no ordinary flashlight. This flashlight works has a handheld, but it also has tripod legs that allow you to sit the flashlight down and EXPLORE! We used this function many times while looking for items on our list as well as marking off items we found. In a day to day use its also super helpful for mom and dad functions like checking the circuit breaker and working on the wires behind the TV. No need to hold it in place, which is amazing. Want to see what we found that was on and off our list? Watch below to see some of the creep, crawly, and well, dead creatures we found when the lights went out. Looking for the entire scavenger hunt pack? DOWNLOAD ALL SHEETS IN ONE PDF FILE HERE. 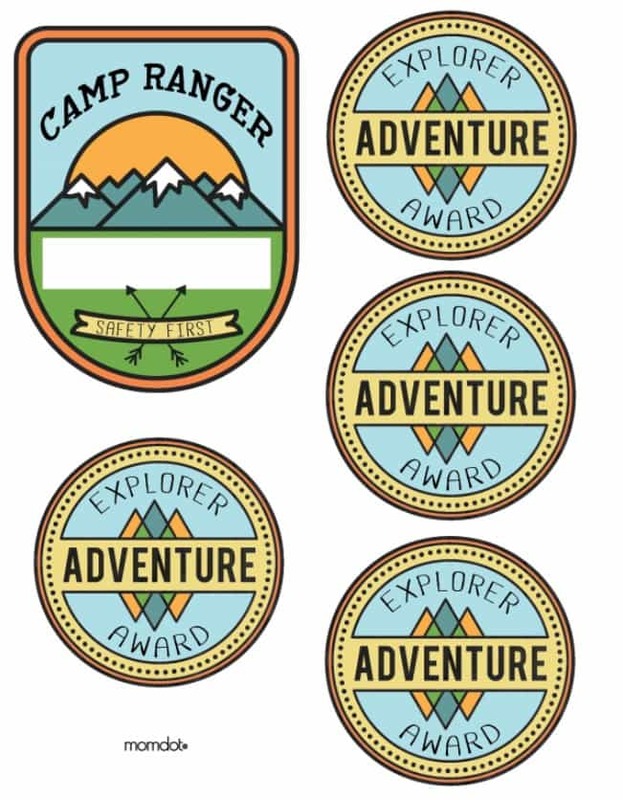 And when you are done, everyone likes a reward for a job well done, so print off this super fun adventure badges on some sticker paper and pass out to your crew. They are real night time adventurers! Of course the fun isn’t just at night time! You can continue to encourage your kids creativity and play time in the day as well with some of these fantastic STEM games. Just make sure you are fully stocked with Energizer® batteries so you don’t have to miss out on any of the fun! BUILD A ROBOT FRIEND – This construction set comes with 111 pieces for building a robot that is responsive through simple push button programming. 3 MODES OF PLAY: in 8-Ball mode Micronoid answers yes/no questions, in Dance mode dances if you play music nearby and, in Autonomous mode, the robot basically does whatever it wants, including moving around, whistling, laughing, passing gas, and more. STEM TOY: For over a hundred years, Meccano has been promoting children’s STEM (Science, Technology, Engineering, and Math) learning as they build and play . For kids ages 8+ who like building and programming robots. Educational Microscope for kids: ideal for the little scientist to experience,observe,learn and explore more about biology,bacteriology,histology and drugs. It has all of the components for them to understand how microscopes work. Include 1 microscope,9 prepared microscope slides(8 blank and 1 with specimen),2 collecting bottles,1 tweezer,1 scalpel,1 spatula,1 needle and 1 plastic container. The packaging box measures 10.4″x7.7″x5.1″ and weighs 550 grams. This kids microscope features 3 levels of magnification (80X, 200X and 450X) that are ideal for child use. This Kids Microscope Kit provides clear magnification quality for most child use. This is a premium quality microscope for children made from ABS acrylic that make it durable and LED lighting illumination that makes it usable in insufficient lighting.